Ridgewood Drive has won at Sandown to stamp his potential as a Derby horse in the autumn. Maiden races at a midweek summer meeting at Sandown are not the usual place to be spotting potential Classic winners. But Amankan and Ridgewood Drive may prove that theory wrong, stamping their class with impressive victories on Wednesday. Both were having their second race starts with Amankan coming from last to win the Blue Star Print Plate (1300m) while Ridgewood Drive showed plenty of courage to surge clear late to win the Ladbrokes Multiverse Plate (1500m). Amankan was resuming after finishing midfield on a heavy track in June and trainer Mick Kent says the filly has 2000m written all over her. “She’s a very big filly and slow moving early, never shown any speed in her trials, but she’s always shown me enough,” Kent said. “She’s a very strong, robust filly and the length of her leg, it just takes her a while to get into gear. “She’s out of a Savabeel mare by Sebring so you would hope she’ll run 10 furlongs (2000m) later on and we’re hopeful that she might feature in some of those autumn Oaks races. Ridgewood Drive, like Amankan, is by Sebring, and Sam Freedman, deputising for his father Anthony, said the stable had Derby aspiration for the gelding. He is a half-brother to Sonntag, winner of the 2014 Queensland Derby and Freedman indicated the gelding could be headed in the same direction. Ridgewood Drive made his debut at Bendigo last month finishing fourth over 1300m and appreciated the rise in distance on Wednesday. “He’s come a really long way this horse,” Freedman said. “He was not looking very promising as a colt early on but the gelding has really been the making of him. 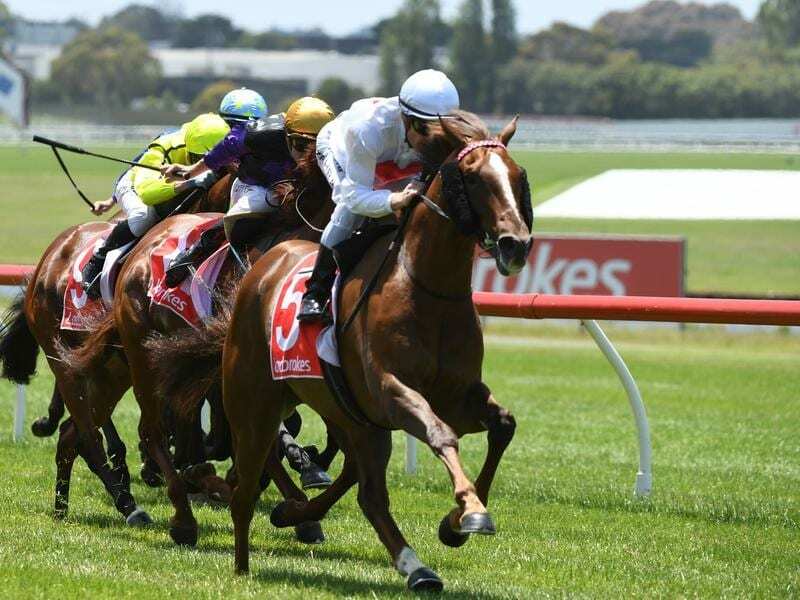 Freedman said he would leave a decision on the gelding’s next move to his father although he conceded a break may be on the agenda before he was brought back for better autumn races.